Several weeks ago, two young Argentine women were brutally attacked and murdered while backpacking in Ecuador’s coastal area of Montanita. Maria Coni, 22, and Marina Menegazzo, 21, had run out of money while travelling through South America. A friend put them in touch with two men, who they thought would offer them a place to stay. Instead the men sexually assaulted the pair, before murdering them and dumping their bodies. Sadly, in the wake of the tragedy there were many people who were inclined to blame the victims of this terrible attack, rather than the perpetrators. One controversial opinion offered by Argentine psychiatrist Hugo Marietan was that the women “took a risk” by travelling in “parts of the world that are not ready for the full freedom of the woman”. What clothes you had on? How a woman is going to travel without company? You got yourself in a dangerous neighbourhood, what did you expect? The Facebook post has been shared over 730,000 times, and the hashtag #viajosola – Spanish for “I travel alone” – trended on Twitter worldwide. Acosta’s words touched a nerve with female travellers across the globe. Independent women who travel to broaden their minds, to learn and to grow, and for the sheer joy of it began posting inspiring viewpoints and photos of themselves travelling solo. Travelling is one of life’s great pleasures. Travelling alone is a truly liberating journey which nobody – man or woman – should feel afraid to embark upon. Travelling alone teaches us so much about ourselves and the world around us. We learn to be at peace in solitude, we learn to trust ourselves, and we meet likeminded people who we form deep and lasting connections with. The random and tragic murders of backpackers like those of Maria and Marina should never be seen as the victim’s fault for daring to go out in the world unchaperoned. Dangerous viewpoints like that of Hugo Marietan should not hold women back from exploring whichever corner of the globe they choose. Our team checks each and every new user. Only verified users can chat with others. Tourlina rates quality over quantity! Our market research shows that women like to travel and prefer a female travel partner as having a male companion often leads to dating. 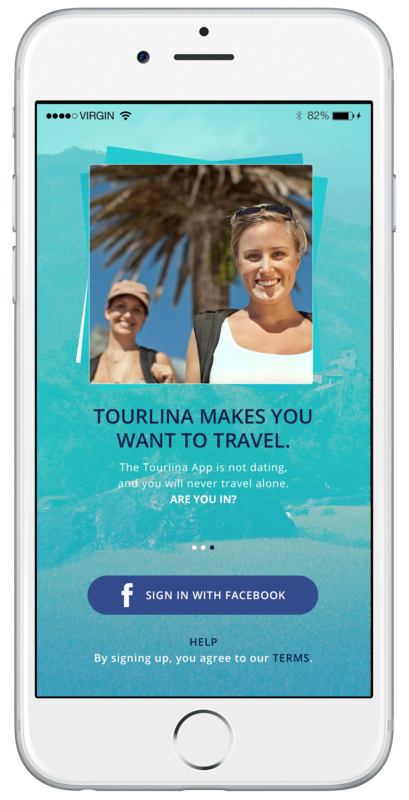 The Tourlina app is not dating, and you will never travel alone. WHY YOU SHOULD ALSO USE TOURLINA FOR YOUR NEXT TRIP? 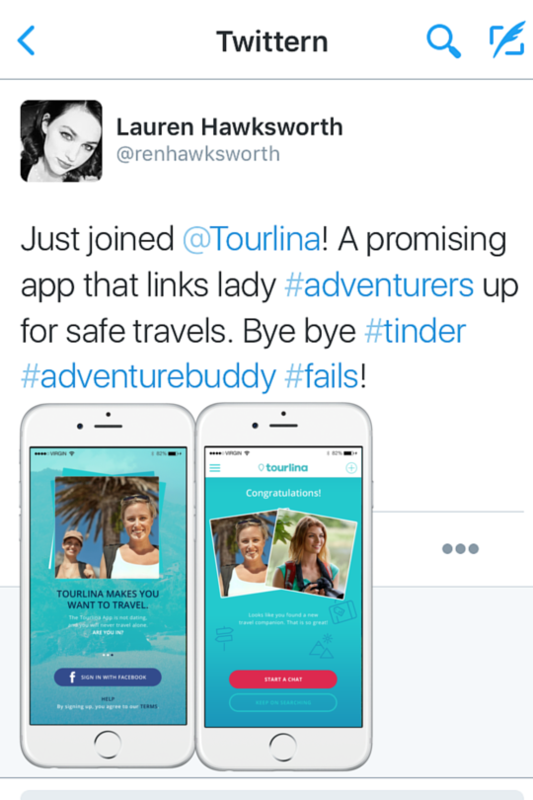 Female users of Tourlina can connect before or while they travel. Tourlina connects women based on their future travel plans. Of course, they can connect as well with other female travelers while they travel, e.g. for one evening in Bangkok or for a part of their trip. Women find more meaningful and long lasting connections with other women and make lifelong friendships as Tourlina connections are based on shared interest in travel and socialising.